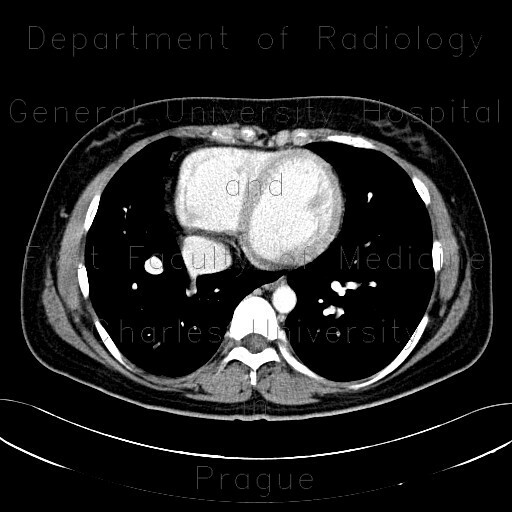 CT shows that pulmonary vein from the right lower lung lobe joins the inferior vena cava just before it merges with the right atrium. The venous trunk gradually curves to join the inferior vena cava and resembles a shape of a scimitar on chest radiograph. This case shows that the heart is situated more on the right side, which is a common feature associated with scimitar syndrome.